Spent way too much time stressing over the perfect place to host a party your guests will be sure to remember for all the right reasons? Struggling to source the best bar for a bangin’ bucks night or classy event? Stress a little less, because we know the best Brisbane function venues to suit any occasion. From relaxing rooftop bars for casual drinks, to sophisticated function rooms for more opulent occasions (whimsical fairy tale wedding, anyone?) you’re sure to find the perfect location for your next little (or big) get together amongst our top picks of the best function rooms in Brisbane. Wine and dine in your own private art gallery as you enjoy the gorgeous paintings and sculptures of internationally acclaimed artist David Bromley. This space is far from your average function room, seating up to 150 guests or 300 for cocktail events, and with eats by Alastair McLeod and William Wallace and their exclusive catering teams, you can indulge in a personalised menu crafted by Queensland’s best chefs. Great for: private dinners, weddings, birthdays, corporate events. Stunning views of the city are just the beginning at Victoria Park. With fabulous function rooms like the vibrant Orchard, the stylish Quartz and the stunning Garden Marquee, there’s a room for every event. Complete with special function packages designed to fit your needs, putt your faith in the attentive team who’ll make sure you’re happy every step of the way. Great for: weddings, engagements, corporate functions. Toowongs do make a right when it comes to the Regatta Hotel. This iconic riverside Queenslander is perfect for functions big and small. Treat large parties to an indulgent dining experience from the Boatshed, or take a seat in the intimate Henley Room which doubles as a working wine cellar. For a unique experience, you can’t go wrong with the 1920s speakeasy styled Walrus Club for cocktails. Great for: birthdays, engagements, private dining. 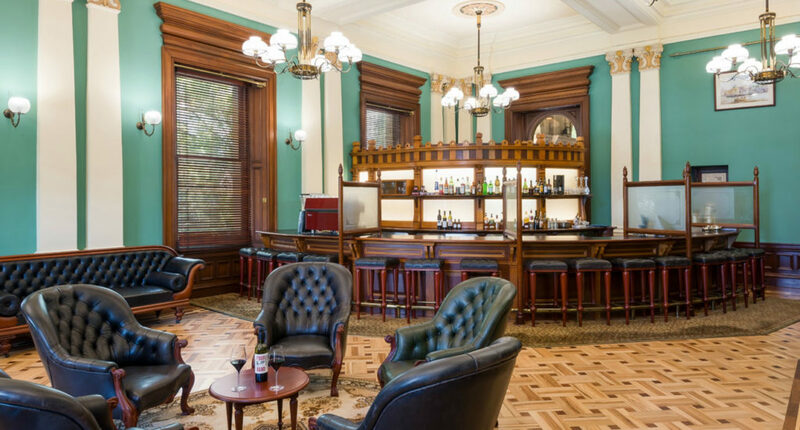 One of Brisbane’s OGs recently had a facelift, and now the Osbourne Hotel is the powerhouse location for all your event needs. 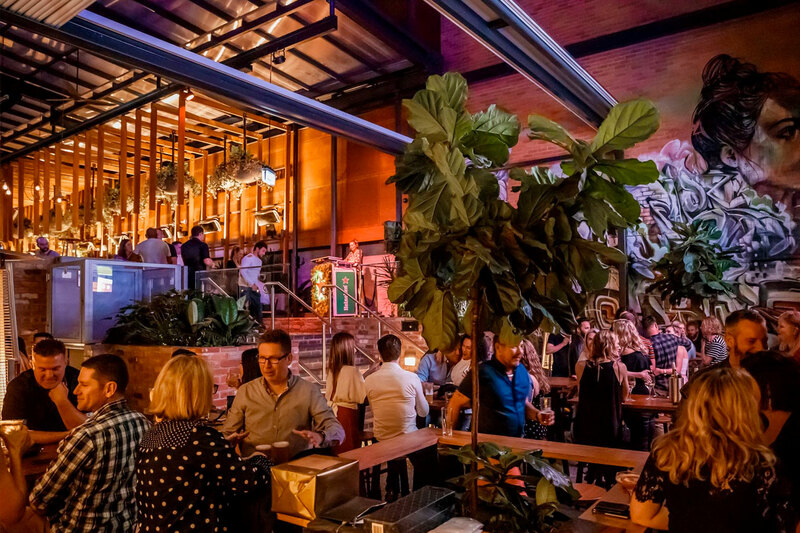 With one of the best beer gardens in Brisbane, as well as some damn fine interiors, the boutique pub is a great spot for private functions of all sizes. Larger parties can’t go wrong with the Glasshouse or The Backyard, surrounded by lush greenery and captivating murals. Great for: hens parties, garden parties, birthdays. The Greek Club welcomes you with open arms. 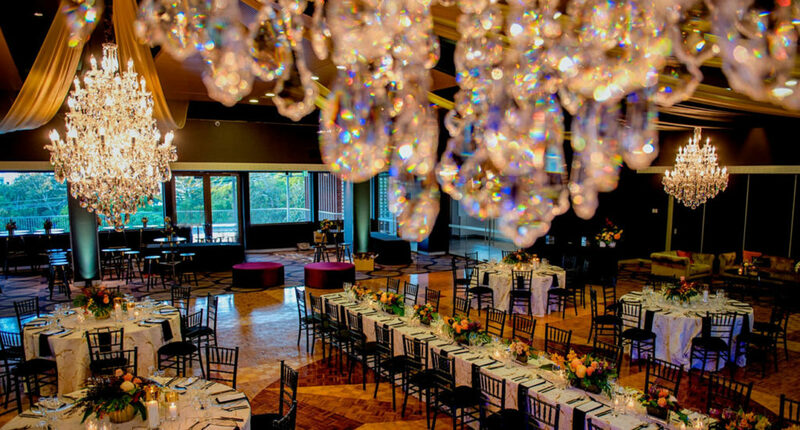 Revel in sweeping views of the parklands and take in the cityscape with a cocktail party on the Grand Balcony, or plan a fairytale wedding in the gorgeous Grand Ballroom. We hear you, what about the dining? Choose from phenomenal sit down lunch and dinner packages, decadent Trapezi banquets, hot and cold platters, and canapés, all packed with Greek favourites and contemporary twists thanks to chef in residence, David Tsirekas. Great for: weddings, engagement parties, birthdays. Intimate cocktail parties, rooftop soirees and fairytale weddings – Brisbane Racing Club can do it all. Its heritage listed buildings, sprawling gardens, and the soft glow of fairy lights dotted throughout the trees are the perfect setting for a romantic occasion. Upstairs, the Society Rooftop is great for any event with its twinkling lights, ornate furnishings and a bird’s eye view of the racecourse. Great for: rooftop spaces, engagements, weddings. Once only ever available exclusively for parliamentary use, the exquisite heritage listed building is now open for private soirees. 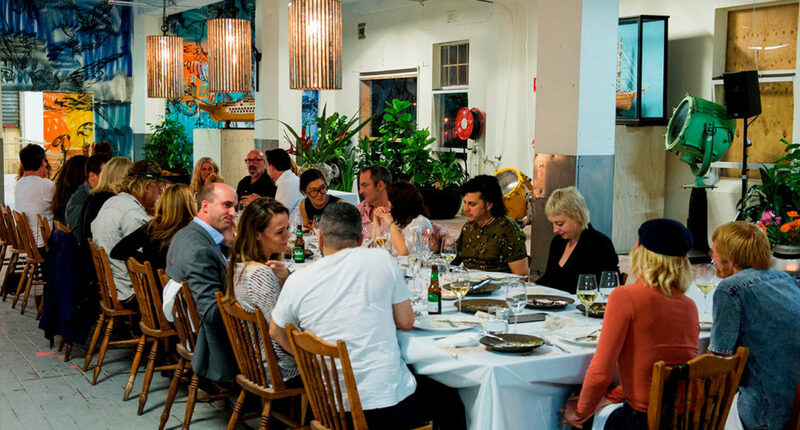 Celebrate milestone birthdays, weddings, or entertain corporate clients in style while you’re indulging in world class dishes from Brisbane’s top chefs. Great for: exclusive events, corporate events, receptions. Wow your family and friends with a night along the river. The Phoenician lounge area and alfresco riverside space will give you an escape to the Mediterranean with unrivalled sunset views. If the glamorous location and unique style wasn’t enough to pique your interest, their award-winning Lebanese-inspired menus are sure to. Great for: cocktails, hens parties, birthdays. When it comes to creating a story for the ages, Customs House has you covered. 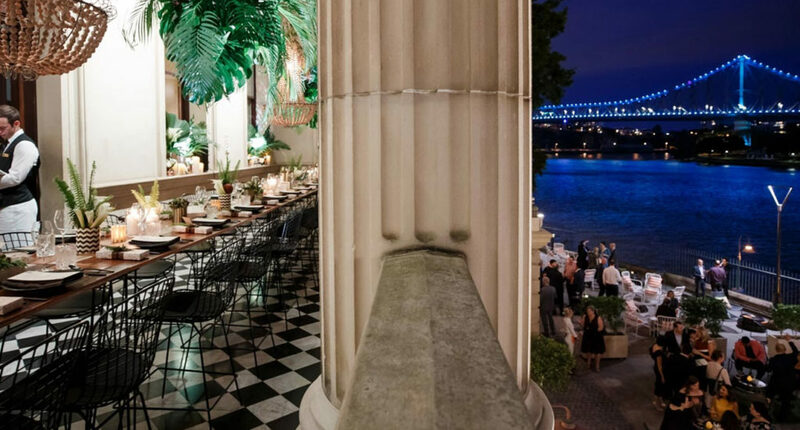 With incredible views of the Story Bridge, this venue is in a gorgeous location and has function spaces to match. From the River Room, with riverside views and contemporary styling to the intimate private dining room for 8, The Reid Room, and the historic Long Room, this heritage listed venue can cater from 6 to 300. Great for: weddings, corporate events, engagement parties. Having your shindig in the comfort of your own home? Take a load off with the help of stellar caterers, Events by William Wallace. Founded by a Michelin chef who worked for noma and other internationally renowned restaurants, William Wallace supplies everything from wait staff to tableware, and creates tantalising dishes for you and your guests so that you won’t have to stress about running around like a mad chook. We’re here to put the fun into functions. If you’re still searching for Brisbane function rooms and event venues, check out our directory. - The gourmand who's a little bit too extra for her own good.